All prices are in Canadian dollars. 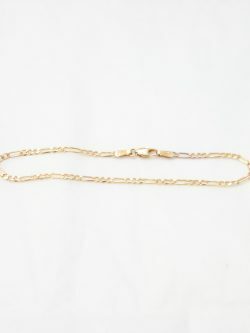 A simple but delicate solid10k yellow gold bracelet made in Italy. A timeless piece of jewellery that can be worn as is or layered with other bracelets. Length of Bracelet: 7 inches* Width of Bracelet: 2mm* *all measurements are approximations. All prices are in Canadian dollars. A charming 10k baby bracelet. The I.D. plate is matte on the front side but polished on the back. A great keepsake that can be passed on for generations. 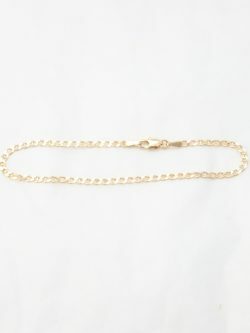 Length of Bracelet: 5.25 inches* Width of Bracelet: 1mm* Length of I.D. plate: 19mm* Width of I.D. plate: 7mm* *all measurements are approximations. All prices are in Canadian dollars. A solid but delicate 10k yellow gold bracelet that was made in Italy. The lobster clasp closure allows the bracelet to be closed in any of the longer links so it can be worn by a baby during a christening or baptism and closed on other links as the baby grows. Charms can be added to the bracelet over time to commemorate important moments and milestones. 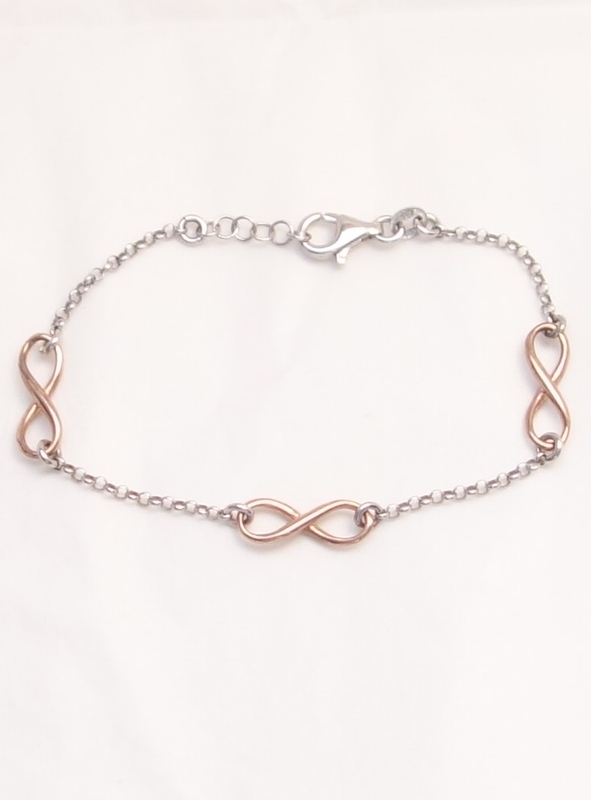 Legth of Bracelet: 7-7.5 inches* Width of Bracelet: 2mm* *all measurements are approximations. All prices are in Canadian dollars. 14k yellow and white gold bracelet from Italy. Length: 7 inches* long. 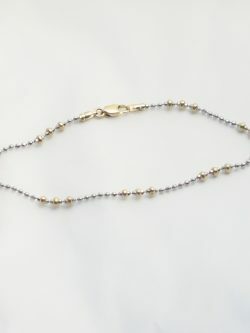 Yellow gold beads: 2.5mm* *all measurements are approximations.